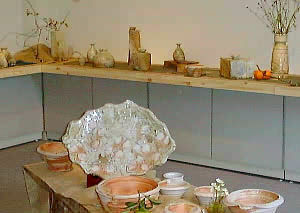 The Izu peninsula, located about 100 kilometers west of Tokyo, has become a gathering place for many Japanese potters. With the advent of mass transportation routes, special clay has become easy to obtain even in remote locations like Izu. The peninsula has no worthy clay of its own. Yet it does offer cheaper land for potters than they would find in traditional potting centers. Masami Nagaoka is one potter who is taking advantage of the mild climate in Izu and the accessibility of Shigaraki clay. He fires an anagama in the hills above Ohito in Izu. Nagaoka began his career studying in Chiba prefecture with Kamiya Norio and moved to Izu about twenty years ago. He imports the best Shigaraki clay, called kinose, and exhibits in Tokyo at Shibuya Kuroda Toen and locally in Mishima at A-Un. The photos shown here were taken at A-Un during Nagaoka's recent exhibition (Nov. 2000). 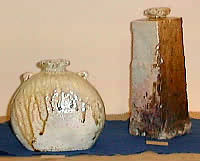 Nagaoka's work has all the characteristics of Shigaraki and Iga-Great fire colors(hi-iro), natural ash glaze(shizen-yu), clay flavor(tsuji aji), and other landscapes(keshiki). the height of firing and this technique is known as hipari dashi. These pieces are more costly than most. In a photo you can see a nice tokkuri with a green ash glob on the front; this is an example of hipari dashi. 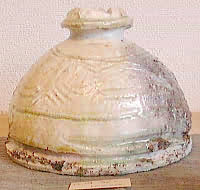 Iga ware is quite famous for its hanaire or vases.  Some, from the Momoyama period have stamps and incised lines in the body. Nagaoka follows in the tradition yet gives his pieces a freshness with his original stamps and also his fanciful forming of the openings on hanire. 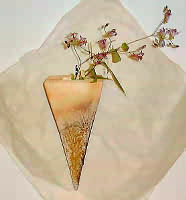 He excels in hanaire and also his squat triangular vases that are full of aji (flavor). On many pieces a rich emerald ash glaze can be seen on the shoulder. Also, since the sides are so geometrical they offer different keshiki at each turn. His shuki are also avidly collected here in Japan and many nice guinomi (sake cups) and tokkuri (sake flasks) were also exhibited at A-Un. These smaller pieces were snatched up on the first day and Nagaoka had to go back to his studio to fetch some more. Nagaoka is a humble man- very much so. His pieces speak for him eloquently though and his popularity is only growing -- he's been featured in TOHJIRO, HONOHO GEIJITSU, and other leading Japanese ceramic magazines. The A-Un exhibition drew many of his local fans and also others came from neighboring prefectures. Keep an eye on this Izu-based potter of Shigaraki and Iga potter; he's going places. What is Shigaraki? See our Guidebook. What is Iga? See our Guidebook.